Looking for a different type of fun challenge to have at your next event? Want to compete with your mates in a different way? 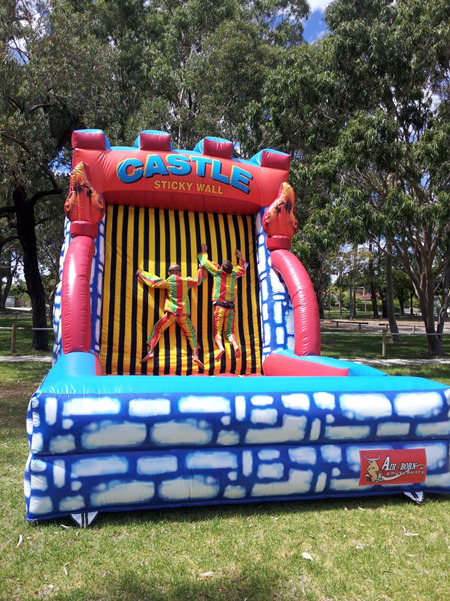 Try our Velcro Fly Wall (also known as Sticky Wall or Fly on the Wall). It comes with two velcro suits allowing two guests to stick to the wall at the same time. The idea is for you to run, jump and bounce at the velcro wall and stick yourself in all funny poses. Can you make it all the way to the top? Go on, give it a go – it’s not as easy as it looks.